English is one of the most accessible languages in the world due to its presence in films, television and the Internet. English is the most commonly used language in sciences and English literature predominates considerably with 28 percent of all books published in the world. 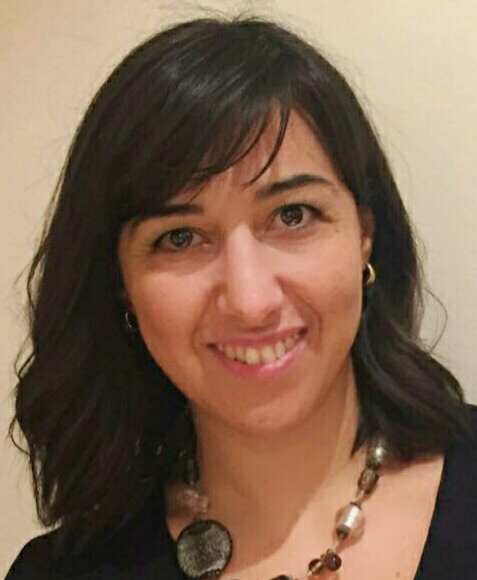 The estimated number of native English speakers is between 330 and 360 million and there are almost 1,500 million people worldwide who speak English at a fluency level. The English language is constantly expanding in terms of number of words added each year. It has been estimated that a new word is added to the language every 98 minutes, which means that roughly 4,000 words are added in various dictionaries each year. 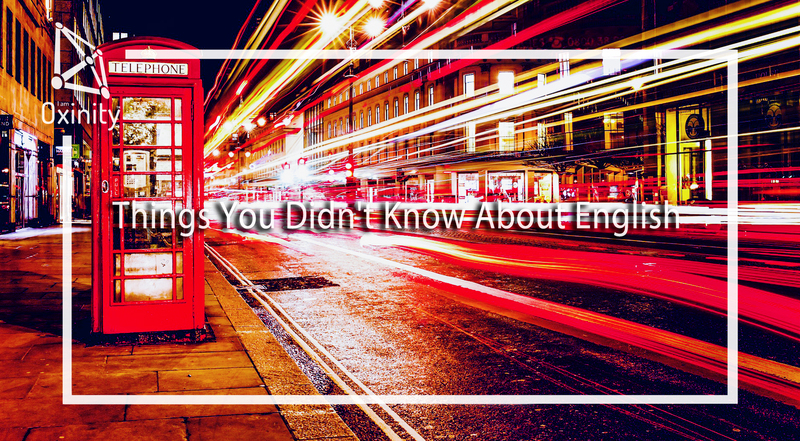 Despite all this, there are a lot of amazing and unknown facts around English that learners usually are not acquainted with. There are a total of 195 countries in the world, 67 nations, who have English as a primary language of official status. In 27 countries English is spoken as a secondary official language. Surprisingly enough, the United States federal government has no official languages, although English has been given official status by 32 of the 50 US state governments. 2. 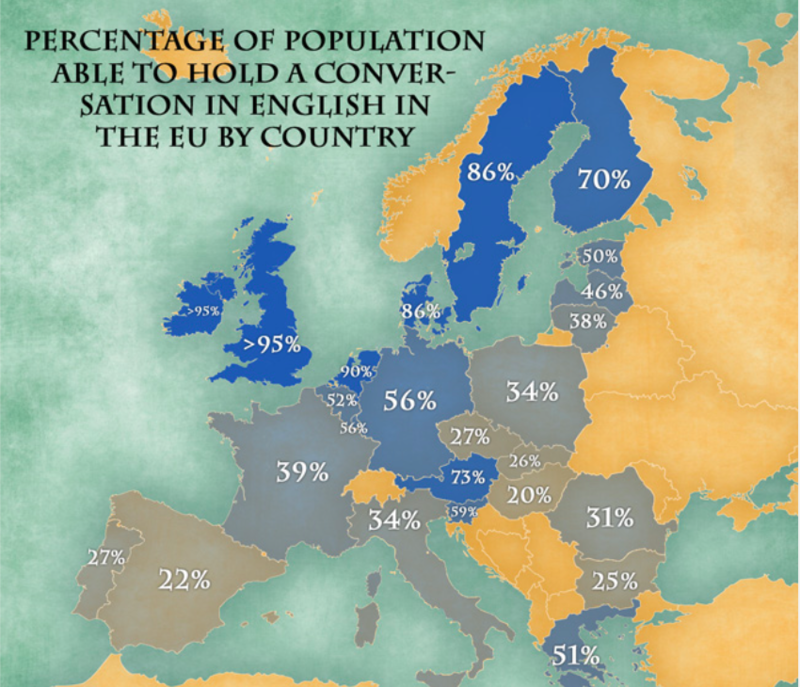 How much English do people in Europe speak? If we take a look at the percentages of the population able to hold a conversation in English, we’ll see that the Scandinavian countries are on top of the list, with the Netherlands showcasing 90% of the people being fluent in English, followed by Sweden and Denmark with 86%, Finland with 70% and Germany with 56%. Spain is unfortunately at the bottom of this list withonly 22% of the population being able to hold a conversation in fluent English. This is actually a great news for beginner learners who are often discouraged by the richness in vocabulary English has. But there are also words that have such a similarity with Spanish -we call them cognates- that we can easily incorporate them pretty much from day 1 of learning. Actor, admirable, capital, culture, criminal, director, president, company, etc, etc. The list is long, but some good examples can be found here. Another interesting and useful list is actually the one of the words that English has taken from Spanish. Some good examples are words such as fiesta, tapas, siesta, but also some animals: alligator (el lagarto), cockroach (cucaracha), mosquito (mosquito), some food words: barbecue (barbacoa), chocolate (chocolate), potato (patata), cafeteria (cafeteria), some natural disasters: hurricane (huracán), tornado (tornado) and many more. Not only the shortest, but also one of the most commonly used words in English is actually "I", the personal pronoun. As for the longest word, no, it's not Mary Popins's Supercalifragilisticexpialidocious. There is a longer medical word referring to a lung disease: Pneumonoultramicroscopicsilicovolcanoconiosis. Good luck pronouncing that! 6. Where is the B letter? You will find it in thousands of words but definitely not in any number until you reach one billion. Try writing number names in full (one, two, three, four...) and you'll see, no B! 7. And what about letter Q? 8. There was no word for the color orange in English until about 450 years ago. Is an orange called an orange because it's orange, or is orange orange because of the orange? The fruit came first. The English word "orange" has made quite a journey to get here. The fruit originally came from China but the English word comes from the Old Persian "narang". Early Persian emperors had this exotic trees and Arabs later traded the fruit and spread the word all the way to Moorish Spain; the Spanish word for orange is "naranja". In Old French, the fruit became "orenge" and this was adopted into Middle English, eventually becoming our orange, fruit as well as colour. For English speaking people noon is 12 pm, but the origins of Noon come from the Latin for “ninth,” novem. It originally referred to the ninth hour of the Roman day — 3pm. It is quite significant that Happy is used three times more often in English than sad. That makes English an optimistic language. We challenge you to participate in our live talk on Youtube on Friday, September 28th and share your knowledge about English. Do you know any surprising fact? Follow us on Youtube and let us know how much you know!